In a reflection of Garver’s already-decorated company-wide culture, two Garver offices were recognized recently for their workplace environments. The Kansas City Business Journal named this month Garver’s Overland Park, Kansas and Kansas City, Missouri offices as “Best Places to Work” in the small business category at a luncheon at the College Basketball Experience in Kansas City. 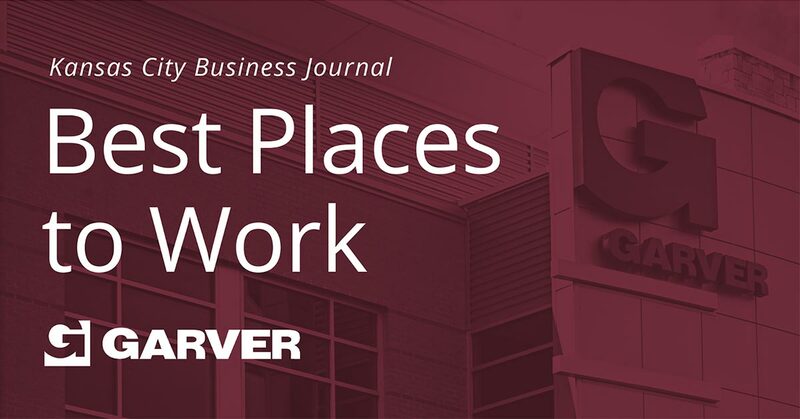 Flexible work schedules, competitive benefits, and an administration that seeks out employee feedback are fundamental in what makes Garver a "Best Place to Work." But, the Kansas City and Overland Park offices expand on those tenets with mentoring programs for young employees to meet with office leaders, a book club that sparks discussion among co-workers, and a ping pong table available to all. The two offices were also named earlier this year as Platinum Level Healthy KC Certified by the Greater Kansas City Chamber of Commerce, the highest level of certification. Garver opened both offices in 2013, from which it has since served aviation and transportation clients. Garver provided design services for the U.S. 69 Missouri River bridge design-build project, is leading the design of SW Route 65 in Springfield, Missouri, has served as construction manager for runway status lights installations at airports in New York and San Francisco, and is currently working with the Wichita Dwight D. Eisenhower National Airport to expand its general aviation apron. To learn more about Garver’s award-winning culture, visit GarverUSA.com/JoinUs.